Here at Provo Primary, we had a feast of books, books, books on World Book Day! We kicked it off the night before with a wonderful, warm storytelling session where the children heard tales from all around the world, while cozied up in pjs. The next morning started with an amazing parade from Toddlers to Year 6 of outstandingly creative characters from books. Then the children kindly had brought in piles of old books to swap. 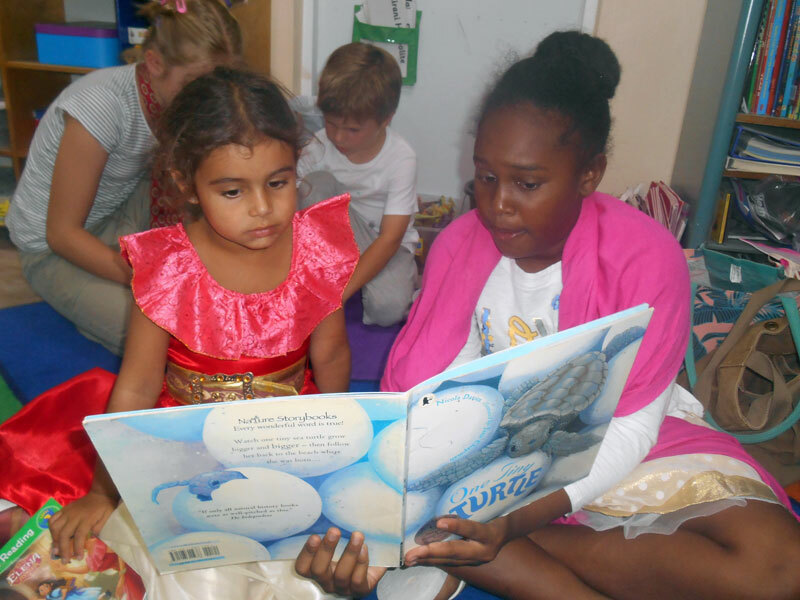 We managed to ensure that every child received a different book they had not read to add to their own home library. We even have waiting lists for some of the more popular reads! 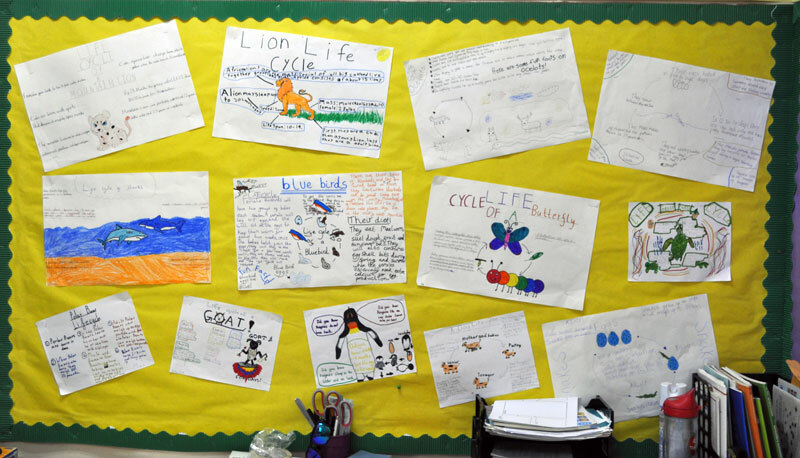 Year 5 have been learning all about life cycles in science so far this term. We have investigated our own life cycles and then went on to research all about the different life cycles of species of plants and animals we are interested in. From bluebirds to mountain lions to ocelots; we have learnt a lot about the differences in how we are born, reared and our lifespans. We also explored a plant’s journey and drew some wonderful scientific diagrams of this process. We are now researching what makes a mammal different to an amphibian or a reptile or a plant and how we classify these. As you probably know by now as a school we are pushing forward with a ‘No straws’ initiative across the classes. The children have been really inspired by this. In Year 5 we have been having lots of discussions about our world today, the current environmental issues we face and how they can be a part of a better, brighter, more aware future generation. 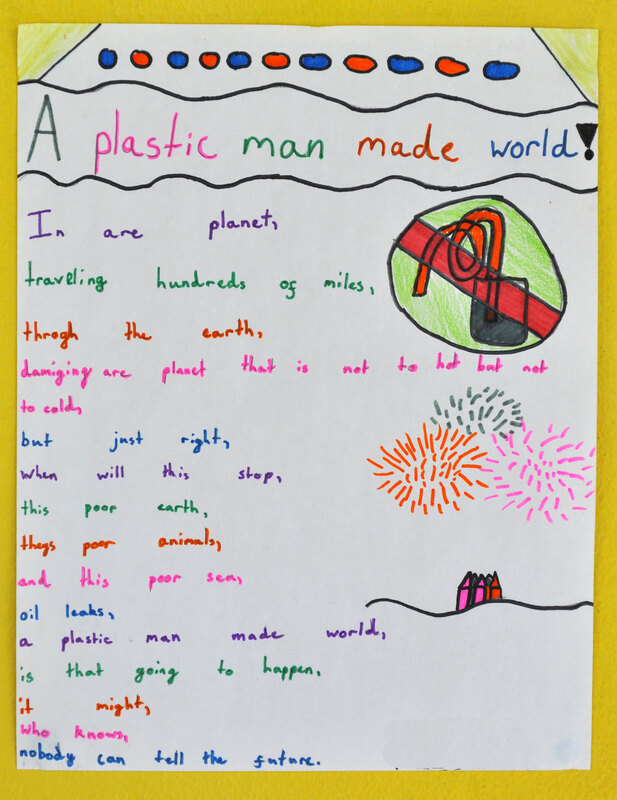 The children decided to write poems on this fight against plastic and their fears for the future if we did not all act. Their work was completely independent, the choice of their focus and the techniques they used but the content really blew me away! We have stuck these poems up around the school and attached them below in the hope that all of us, adults and children, will be more inspired to remember what is at stake for our future. Please look around and take a read and hopefully be inspired! 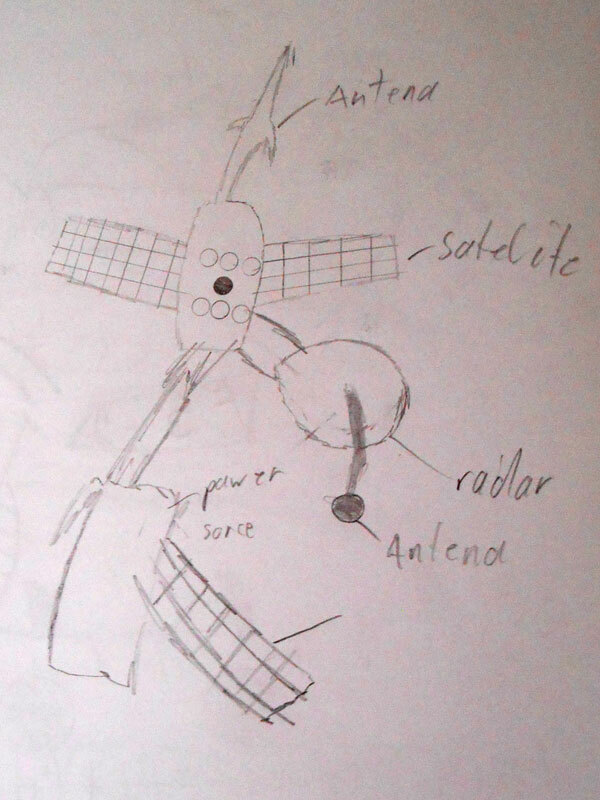 Year 5 were given the challenge three weeks ago to create a project of their own design on someone in the recent past who has made a significant change to our world. This is a direct link to the topic we are studying this term which involves us studying the life of MLK Junior and the amazing battle he fought for racial equality. Year 5 were able to use PowerPoint, drama, models, speech alone, literally anything they felt worked to support their presentation. And wow, they did! We had costumes, models, games, quizzes with prizes and some absolutely fascinating facts. The children all worked incredibly hard to speak selectively and clearly on why their chosen person had made a difference to our world. The presentations ranged from Ruben Carter, to Nick Vujicic, to Marie Curie, to David Attenborough, to Donald Trump – to name a few! 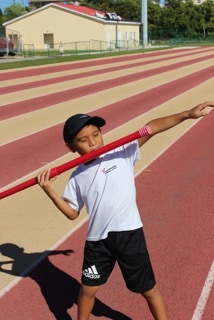 Year 5 North and Middle Caicos a roaring success! Our overnight trip to North and Middle Caicos was a roaring success! We started our day by taking the ferry over from Provo. After landing in Sandy Point, we took our massive school bus over to Mudjin Harbor in Middle Caicos. On the way we stopped at the Causeway to take in the impact of hurricanes and how hard it has been to repair this. Swimming, lunch and walks in caves and trails followed at Mudjin. Then we made our way to the Conch Bar caves. As part of our topic on ‘Space and Segregation’ we have been studying in detail the famous ‘I have a dream ‘ speech by Martin Luther King Junior. After identifying all the techniques he used so well to make such a powerful and emotive speech, we decided to write our own speeches. Year 5 were encouraged to think of any issue at all that they felt really strongly about or wanted to change on a global or personal scale. The range of issues is both interesting and thought-provoking. The children then drafted and re-drafted their speeches in their best handwriting, ready for our classroom wall – please feel welcome to come in and read them. They then had to memorise their speech (as much as they could) before being filmed performing it. We hope you are inspired by their persuasive and compelling reasoning and formal, emotive language! 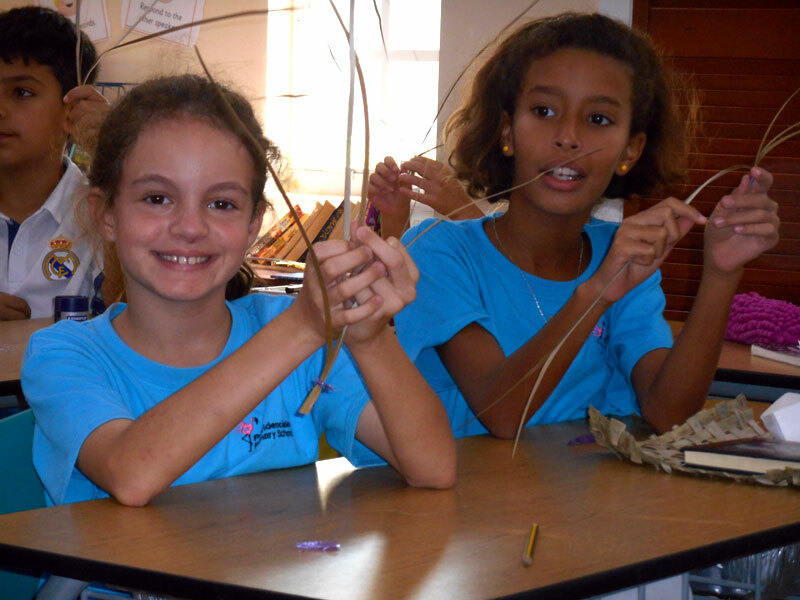 As part of our focus on National Heritage Month, Year 5 have been looking at basket weaving in the T.C.I. and how we use different natural plants to create beautiful hats, baskets, bookmarks, bracelets and more. We were lucky enough to have the expertise of Daphne Forbes (who we will definitely be looking to invite in again) to help teach us how to weave silver palm. Although tricky at first, the children became experts in next to no time. We were also incredibly fortunate to have one of our students teaching us a different weaving method with amazing patience- a teacher in the making! ‘Turtle Week’ was a busy, fun and turtley exciting week in KS2. We are very grateful to Miss Katharine and Mrs. Amy from DEMA and Miss Jackie from Amanyara Nature Discovery Centre for sharing their vast knowledge and for creating such a wonderful collection of fun and exciting turtle activities! “I felt the turtle activities were really fun and made me really happy,” said BD. “I learnt that leatherbacks have collapsible lungs so that they can dive deep,” commented ED. “I enjoyed Turtle Week because it raises awareness of the turtle situation, especially here in the T.C.I.,” added JW. Year 5 have worked long and hard studying persuasive speaking and writing. We have analysed the different techniques used by MLK Junior in his most famous ‘I HAVE A DREAM’ speech. We have also looked at past and present politicians clever techniques as well as the power of advertising. We have written our own speeches on a range of issues that we care about from the proposed local 12-storey development, the state of government schools to gun crime. 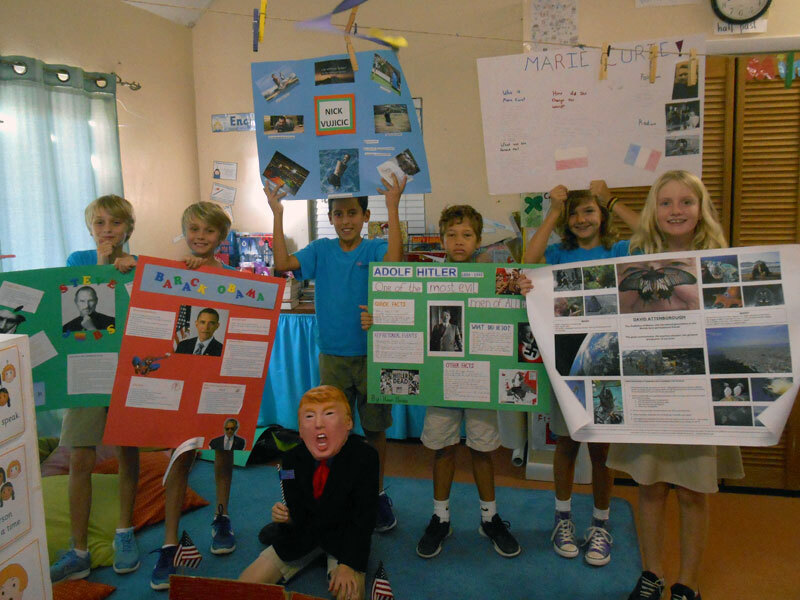 The children worked hard to include as many different persuasive techniques as they could. We are now working on our debating skills and each day this week we are tackling a new issue. Come along on Friday afternoon and take part in one, but be warned, the Year 5’s debating skills are well-honed! In Year 5 we have been looking at poetry and, in particular, performance poetry; how we create poems and what makes a poem particularly good to perform. We read and analysed a wide variety of performance poetry together. 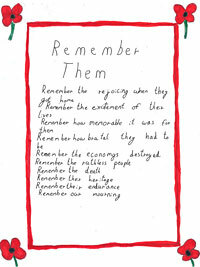 Using inspiration from these, as well as events that happened that week such as Remembrance Day, the children were given free choice to create their own poem. The range of topics and the powerful way the children manipulated their language, whether it be humour, sadness or beauty, was truly impressive. What has astounded me is just how poetic Year 5 are and how fantastic their imagery and wordplay is. Take a look yourself! Year 5 students have written a recount of their coastal investigation field trip in which they learnt to use a clinometer. First, Year 5 went to the DEMA building to pick up Mr Roddy Mcleod. We walked across the road with him to the beach by the Bight Park. Mr Roddy showed us how to use a clinometer. He explained to us it is something that measures whether the slopes on the beach have risen or fallen. 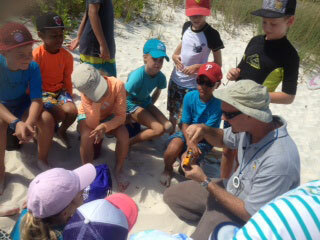 Last half term, the Year 5 took a closer look at our beautiful coastline here in the Turks and Caicos Islands! 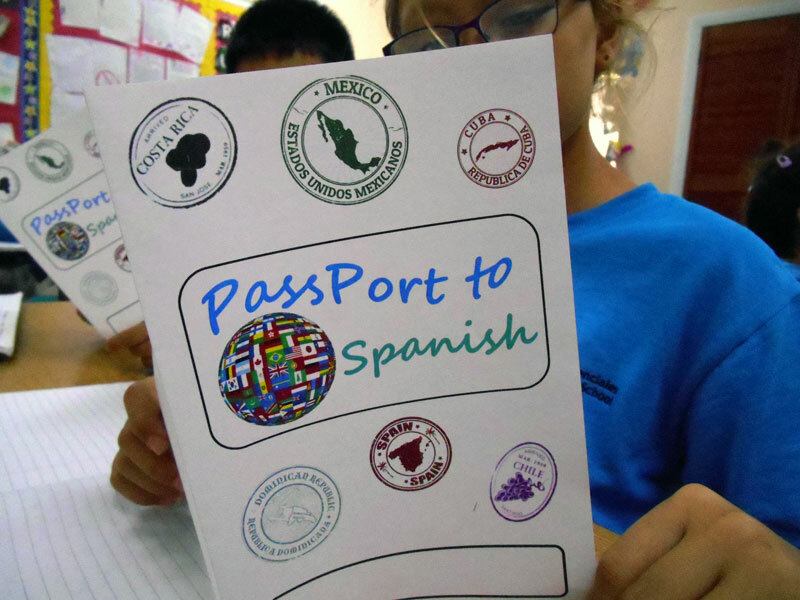 With a combination of class-based and out-in-the-field learning, the children have gained new knowledge about the geographical features of our coastline, the huge varieties of species that live and depend on our coastal habitats, the impact of nature and the importance of ecotourism. They also have a greater awareness of what they can tangibly do in their own lives, and what they can tell others to do, to help protect the beautiful coast that we have. A big thank you to all of our community teachers and to everyone who helped out with our field trip transportation. 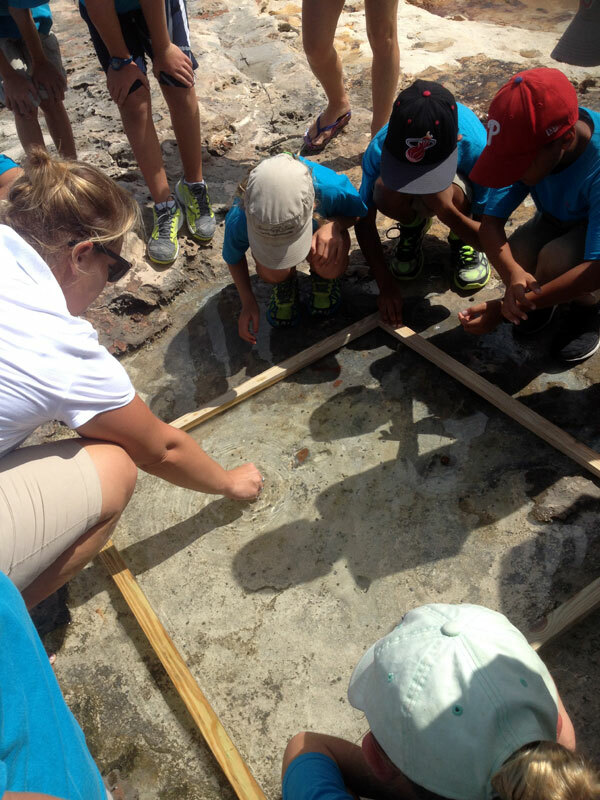 This topic has provided many opportunities for nurturing wonder and respect toward our local environment and the planet through observation, hands-on learning and the sharing of expertise. Phew, it’s been busy half term, but so worthwhile! Just ask one of our Year 5s! 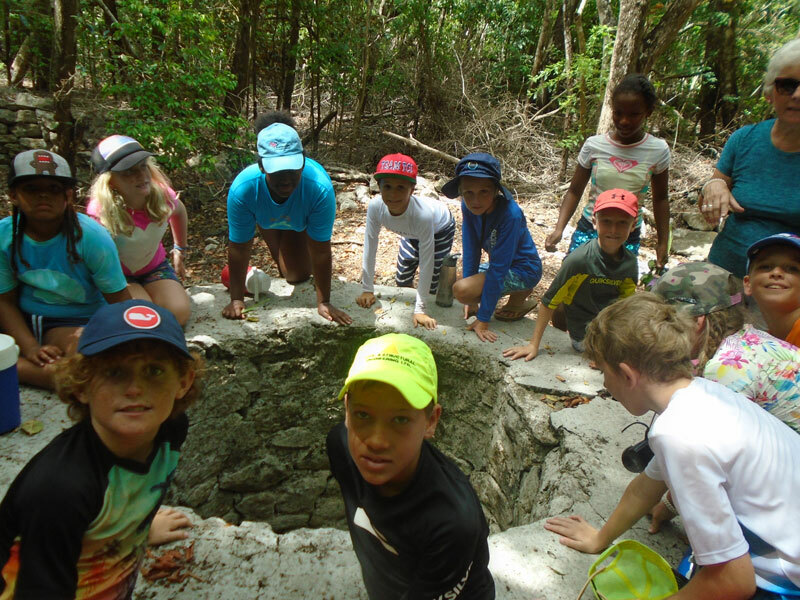 Yr 5 explore North and Middle Caicos. In Year 6, the children go on a week long field trip to really develop their sense of independence and confidence before they transition to secondary school. 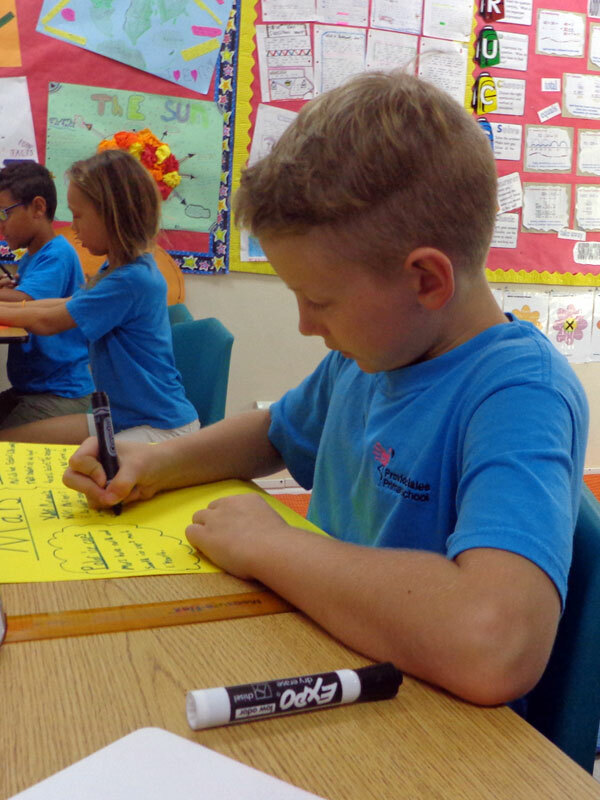 In the last few years, I have introduced an overnight stay to North and Middle Caicos in Year 5 as a precursor to the Year 6 trip. 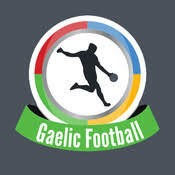 It has been hugely successful and this year was no exception! We would like to thank Mr. Mark Parrish from Big Blue for his outstanding local environmental knowledge and our amazing parent helper, Mr Anthony. We would also like to thank all of the friendly residents of North and Middle Caicos for welcoming and looking after us. Shark week works, we LOVE sharks! 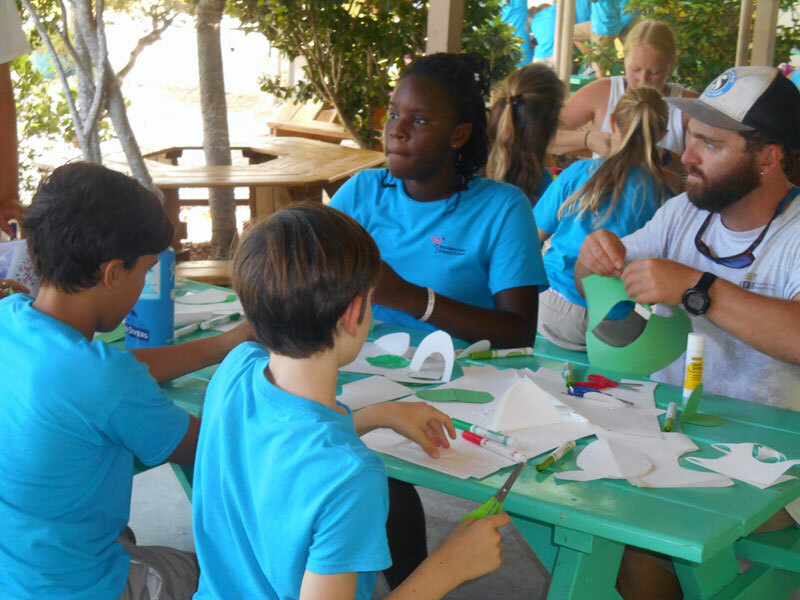 Inspired by the recent visit of Rob Stewart (shark photographer and conservationist) to the TCI, our own ‘Shark Week’ was a fantastic mix of a whole range of activities, including visits from local dive photographers and the TCI Shark Action Team. Early Years were lucky enough to have a visit from Mr. David Gallardo who wowed the children with his stunning underwater photography of sharks and his description of his one to one encounters. Year 3 also had the wonderful opportunity of a visit from Mr. Sean Brady who delivered a presentation on sharks and showed his amazing photography too! 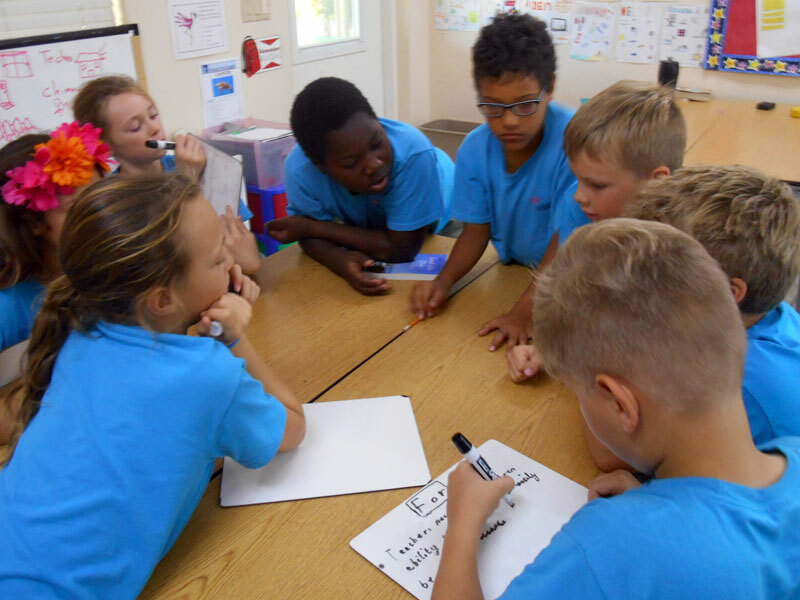 The whole of Key Stage 2 were recently lucky enough to have a second visit from the wonderful team at School for Field Studies (SFS) in South Caicos. This was a new group of students who have just began their time studying here. 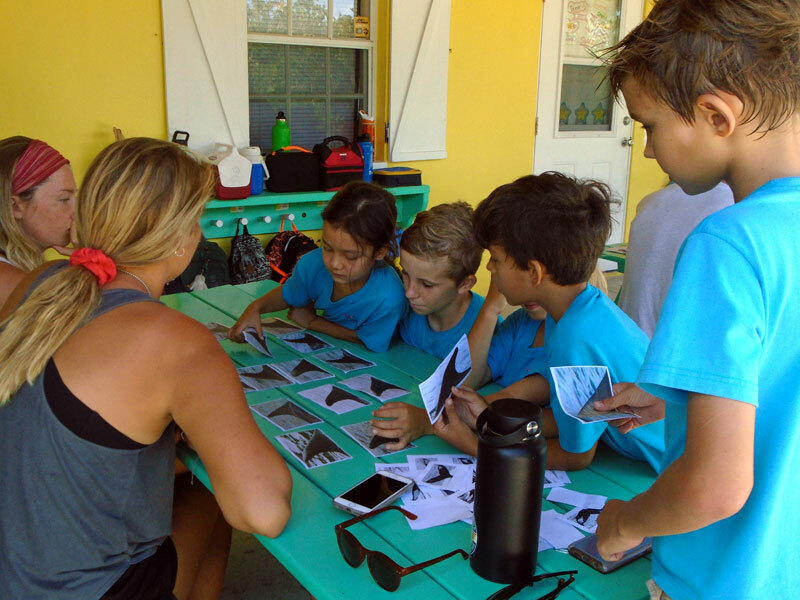 As it was nearing the end of the whale migration season here in TCI, the students dedicated all their activities to educational information on them. The knowledge they had, along with the dynamic and entertaining way they delivered it to the children, was wonderful. All our children loved the morning and didn’t want the students to leave. 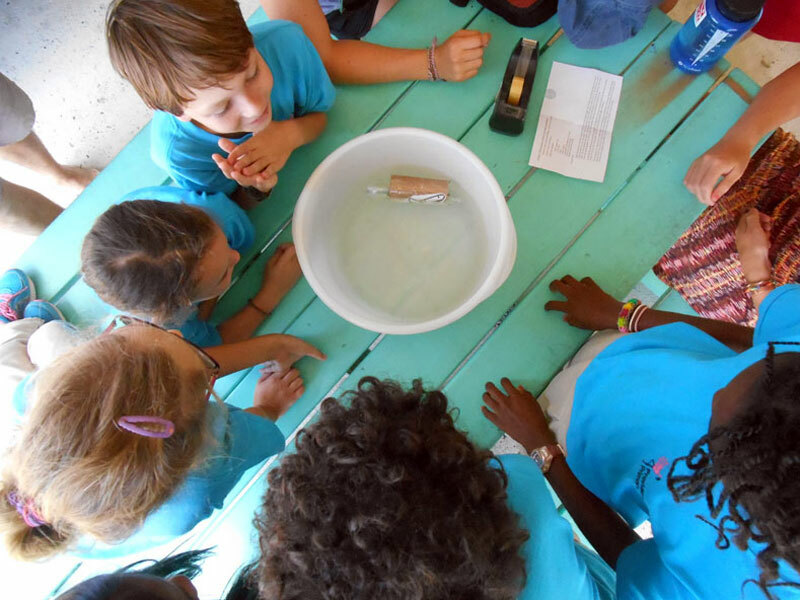 It was a fantastic opportunity to learn more about our wildlife here in the TCI, while also having the chance to interact with a different age group and learn about their studies. On the day before World Book Day, we were lucky enough to have a visit from 19 Year 9 students from British West Indies Collegiate. The whole of Key Stages 1 and 2 were treated to three different dramatic performances carried out by the students. Head of English at the Collegiate, Miss Tessa Rankin, explained that the pupils had used traditional fairy tales as their starting point, but had chosen to intertwine different tales in their own completely independent and individual ways. Each group performed in costume to Years 1 & 2, 3 & 4 and 5 & 6. The plays were written entirely by the students and were a true delight to watch. Not only were the students incredibly brave to come to a different school and perform, they were also extremely witty and dramatic. Great budding thespians!